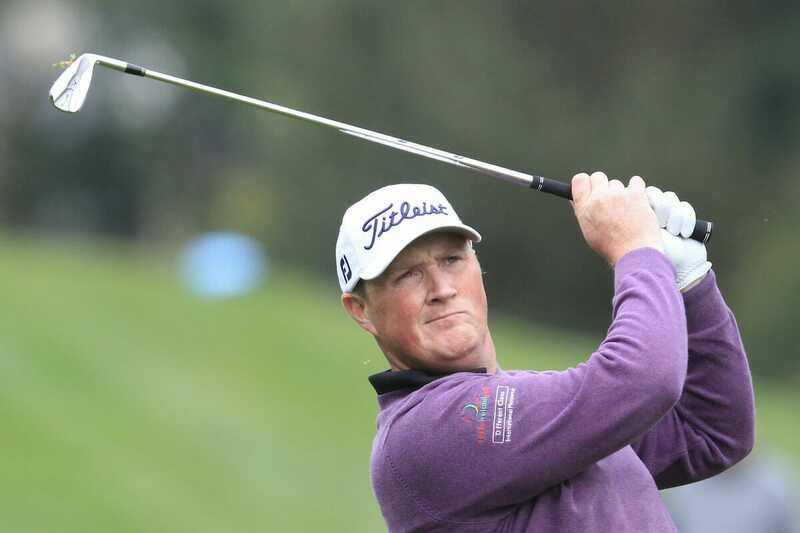 Michael McGeady closed out the PGA in Ireland competition season in style with victory in the Connemara Pro-Am. The 39-year-old fired a six under par 66 at the Co.Galway venue to win by two shots at the event which was cut from 36-18 holes. PGA officials were forced to abandon play midway through the afternoon on day one because of strong winds. “I really struggled in the conditions on day one, it was some of the worst weather I have ever tried to play in,” said Michael. “It was very unfortunate for Damien [McGrane]. His level par round was an incredible effort, he must have played some golf. Starting his round at the 10th, Michael played his opening nine holes in three under par 34 with a bogey at the 11th cancelled out by birdies at the 13th, 14th, 15th and 17th. Turning for home he added three further birdies at the fourth, fifth and seventh to top the leaderboard on six under. “It was a solid round of golf and while it could have been a few better, I also had to hole a few par putts to keep things going,” he added. Victory in Connemara was Michael’s seventh win of the season and fourth since August. “I had PGA exams to deal with earlier in the season and I think I was probably concentrating more on those than my golf. I wasn’t focused on golf, I wasn’t hitting balls and I was trying to do a bit of coaching as well,” he said. Damien McGrane, Mark O’Mahony (Titleist Fitting Centre) and Cian McNamara (Monkstown GC) finished tied for second on four under par. Cian and amateur partners Martin Walsh, Jamie O’Mahony and Eddie O’Sullivan won the team prize.